I mentioned in Hello, old friend, that I was going to make individual posts expounding more on my New Years’ goals. Lately I’ve been feeling like my life is so unorganized. That’s why my main goal is to get my life organized, then hopefully the other goals will just fall into place. 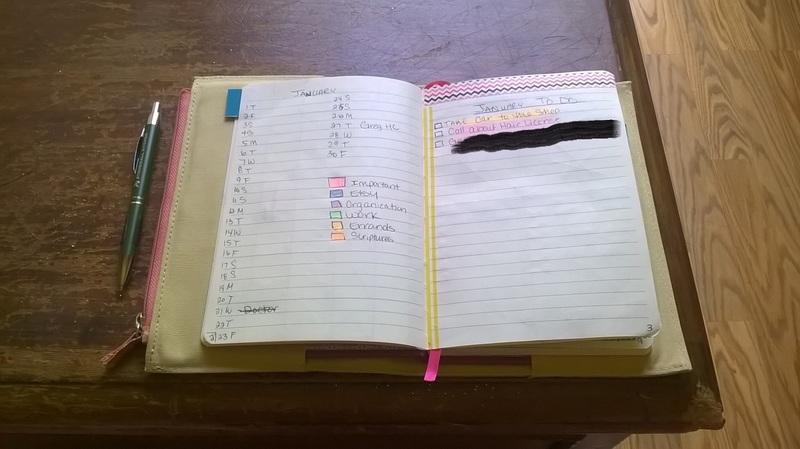 I started by making my own planner. I bought a lined journal (on sale) from TJ Maxx. 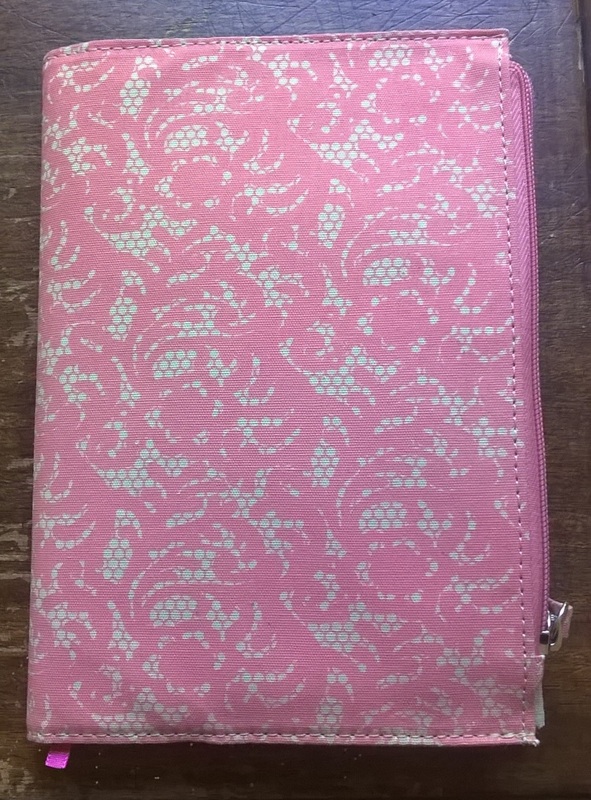 I found another planner at Target that had a cute case that included a zipper pocket. I took the case off the planner and put the journal in it. The pocket is good for holding Post-its and things like coupons. I numbered each page and made an index at the beginning of the planner. I designed my planner (loosely) on the Bullet Journal idea. I made a month-at-a-glance calendar at the beginning of the January section. I even added tabs for the months. 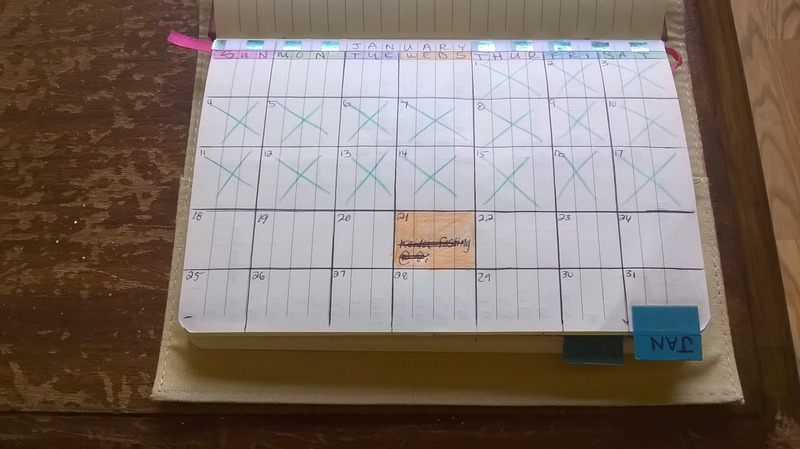 I’m only added pages as I go or a week or two ahead of time so I only have Jan. and Feb. right now. At the start of the Jan. section I made a page to list major points in the month. 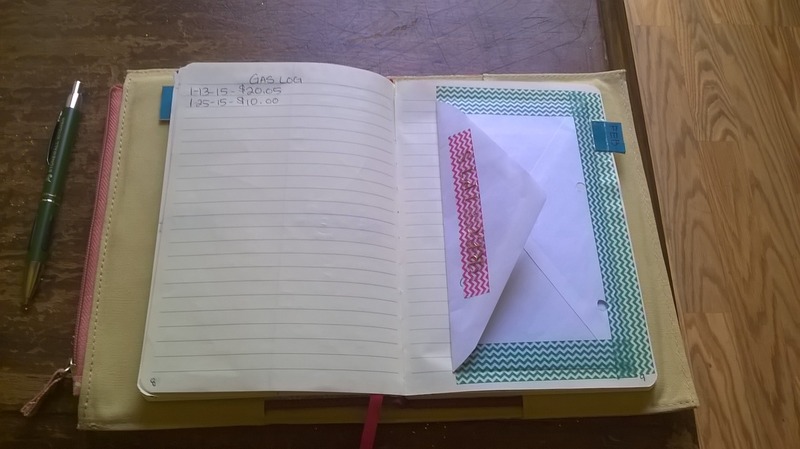 The page on the left I numbered 1-31 (for 31 days in Jan) plus a letter to represent the days of the week. On the right I made a more detailed monthly to do (that I obviously didn’t fill out all the way. I also blacked out a personal event). After the monthly to dos, I divided the pages into 7 days of the week. Each day has it’s own list + Dailies. I have highlighted events according to the legend that is shown in the previous picture. I made a gas log to track how often I buy gas and how much I get (I recently bought a much smaller car so I don’t spend as much on gas now). I attached an envelope to one of the pages that I stick receipts in until I get home ( also need to make an at home receipt filing system). Well that’s all I have so far on my planner. I’m just kind of making it up as I go, seeing what works and what doesn’t. I’m working on make notebooks/journals for my other goals I’m working on too (health, spiritual, career, etc). Put together a binder with my business plans, supply receipts, etc. Organize craft away where I make my jewelry and other things I wish to sell. 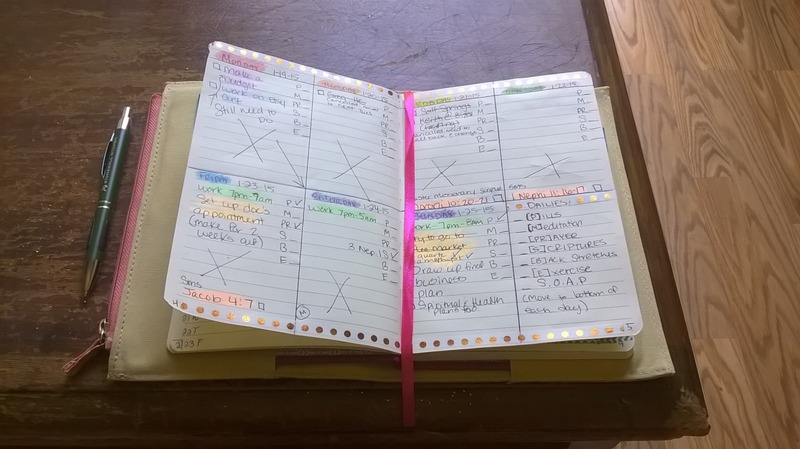 Create meal plans and gather recipes. 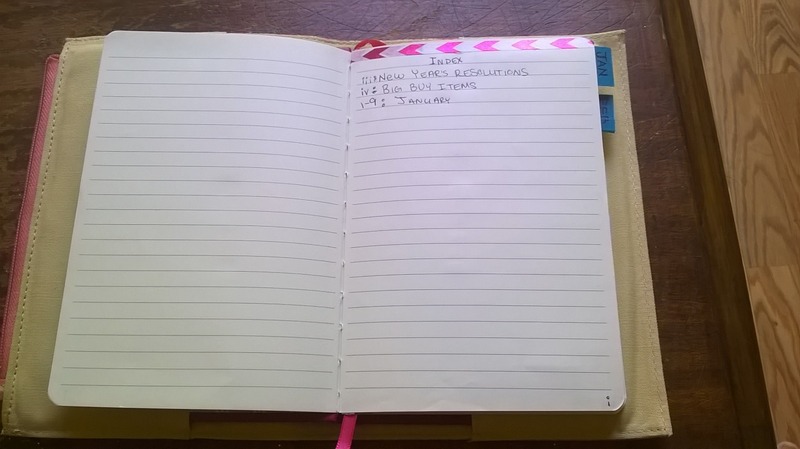 Make a health journal with meal plans and food trackers. Find out what I need to do to start going back to school (art school). I plan to start on these this week. We’ll see how it goes and I’ll blog my progress.